Pet Qwerks-Flavorit Nylon Bones: Peanut Butter Large. 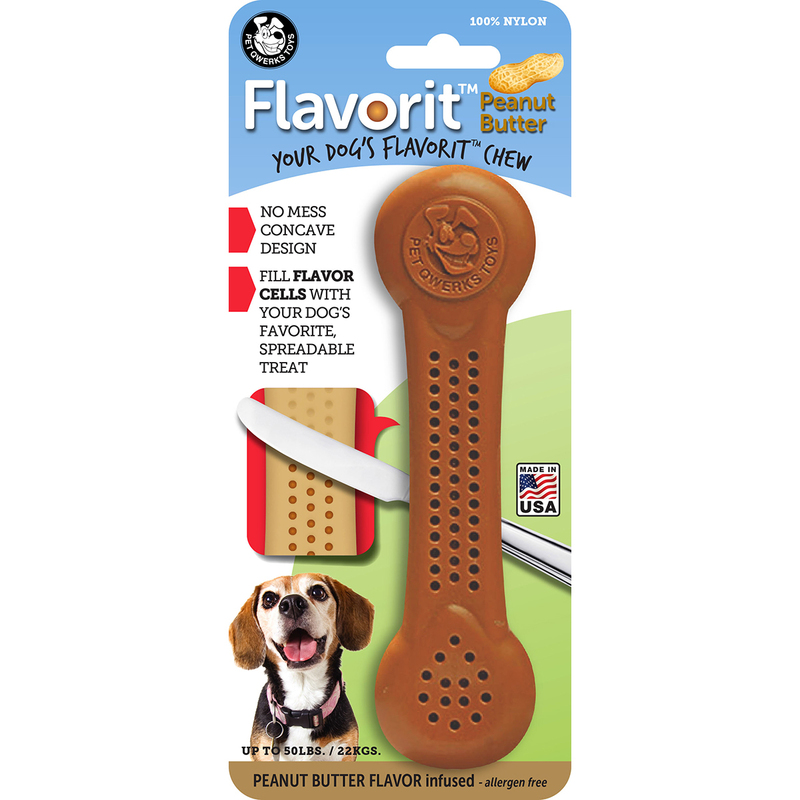 Fill the flavor cells in this bone with your dog's favorite spreadable treat and watch them go wild! This package contains one 6-1/2x2 inch nylon bone to fill with spreadable treats. Dishwasher safe. Made in USA.